Following the Israeli High Court of Justice’s decision to allow for demolitions in Khan al Ahmar, any day could be its last day. 70 years ago, these families were displaced from their homes in Arad and in the coming days, they will again have to start anew as the state has chosen to demolish their homes and ecological school and force them to bounce from place to place, like a ball. Around 165 Bedouin children from the region will be left without a school, or any educational opportunities on the horizon. Not a single person is looking after the basic rights of the Khan Al Ahmar residents and the last few remaining rights they have will soon be destroyed with the bulldozer. It is clear to us that the expulsion is part of a larger plan to create contiguous Jewish territory between Jerusalem and Jericho. It’s been almost 20 years since an entire village has been displaced, and we must use all of our power and strength to prevent this case from creating a precedent for future expulsions of whole villages. As of now, we are these communities’ only hope. It is critical that we, Israelis and internationals, will be there when the army comes to the village to destroy the houses. Our support, presence and documentation of the events can help minimize the violence and the community is asking us to help them out. Several protests will take place within Israel and Palestine. If you are interested in attending, please contact us. Different actions are being done in this direction, but if you have any relevant connections, please contact us. If you want to take part in this aspect, please contact us. 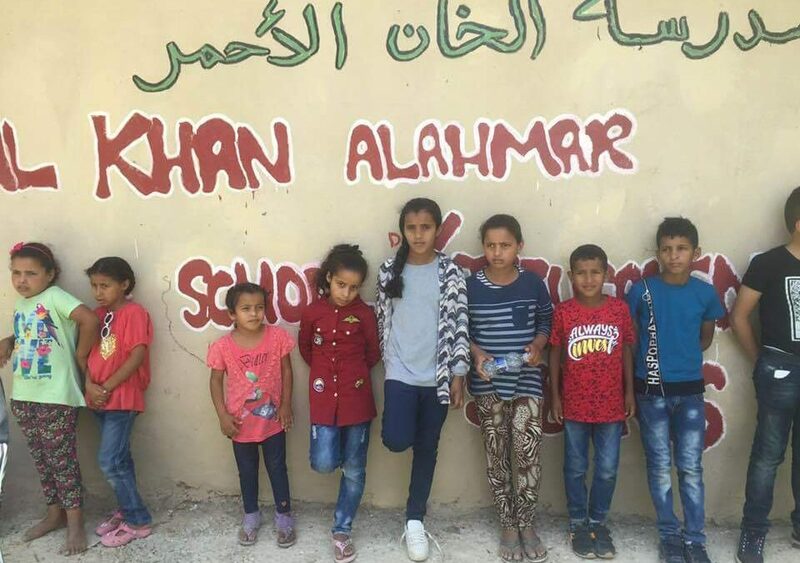 The people of Khan al Ahmar need us more than ever. Please join us today.